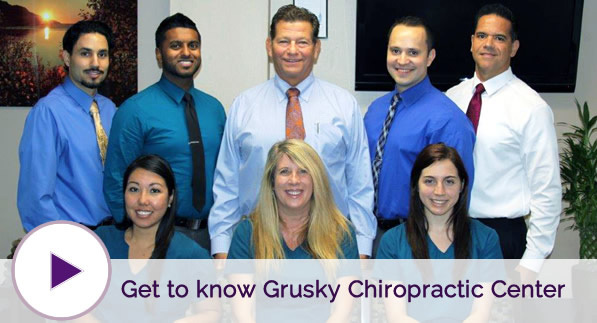 For more than three decades, Dr. Grusky has made it his mission to educate and empower families to live healthier lives through chiropractic. We treat families of all shapes and sizes, all ages and in all occupations. You’ll feel comfortable and at home in our office, while receiving the very best in advanced chiropractic care. Join our chiropractic family and make an appointment today. Say Goodbye to Pain and Feel Great! Our cutting edge techniques are gentle, safe and effective and our team makes sure that you will feel cared for and supported in your journey to optimal health. Conveniently located just ¼ mile east of the Palms at Town and Country shopping mall.